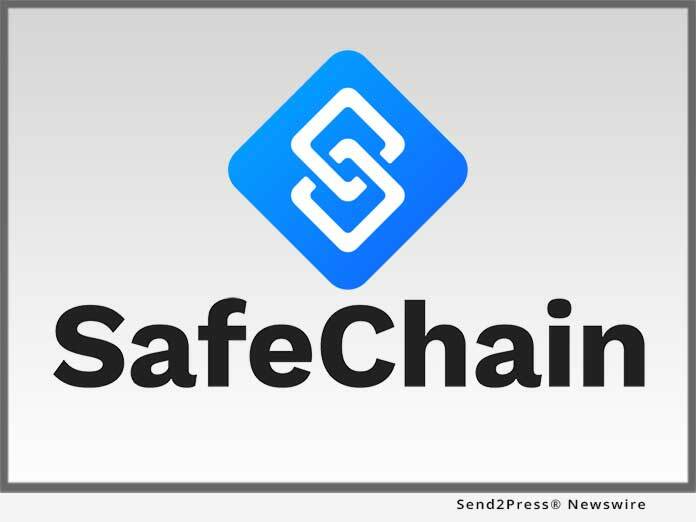 COLUMBUS, Ohio, Jan 29, 2019 (SEND2PRESS NEWSWIRE) -- SafeChain, the industry leader in wire fraud prevention software and blockchain implementation for land title, announced today that Providence Title, one of the largest independent title companies in Texas, has expanded its deployment of SafeWire(TM) to include all 25 offices throughout the state. Moving forward, Providence Title's network of agents will use SafeWire to verify the identities of transaction participants, authenticate bank account ownership as well as securely store and transmit wiring instructions. "Trust is paramount to the real estate transaction, and with wire fraud continuing to threaten our industry, we needed to do everything in our power to help our customers' ensure their transactions are secure," said Dan Foster, CEO of Providence Title. "Combatting wire fraud has been a major initiative for us, and SafeChain was the best partner we could have chosen to help us achieve our goals. Every title company needs to move to a platform like this." SafeWire ensures the integrity and security of real estate wire transactions. The platform leverages bank-level authentication and blockchain technology to prevent unauthorized parties from taking part in the transaction, tampering with transaction information or intercepting wire funds. While business email compromise (BEC) schemes - the most common method of committing wire fraud - are on the rise across all industries, the real estate sector has been a particular area of focus for fraudsters. According to FBI data, from June 2016 to May 2018 real estate BEC schemes resulted in more than $1.6 billion in losses in the U.S. As government agencies consider regulatory changes to address the growing problem, such as requiring payee matching for all wire transactions, title companies have turned to platforms like SafeWire, which already includes payee matching, for a more immediate solution. "Wire fraud isn't going away, and if the real estate industry continues to rely on antiquated technology and processes, the easier it becomes for fraudsters to hijack these transactions," said Tony Franco, CEO and co-founder of SafeChain. "SafeChain firmly believes in the power of technology and education to address this issue, and we're increasingly seeing title agents buy in to this shared vision, with companies like Providence Title paving the way for their peers." For more information visit: https://www.safechain.io.